A hundred years ago, on April 13, 1919, thousands of Indians had gathered at Jallianwala Bagh in Amritsar for a pro-Independence demonstration on Baisakhi festival when the British Indian Army under the command of General Reginald Dyer blocked the main exit and opened fire at them, aiming wherever the fleeing crowds were thickest. The massacre left hundreds dead and over a thousand injured. 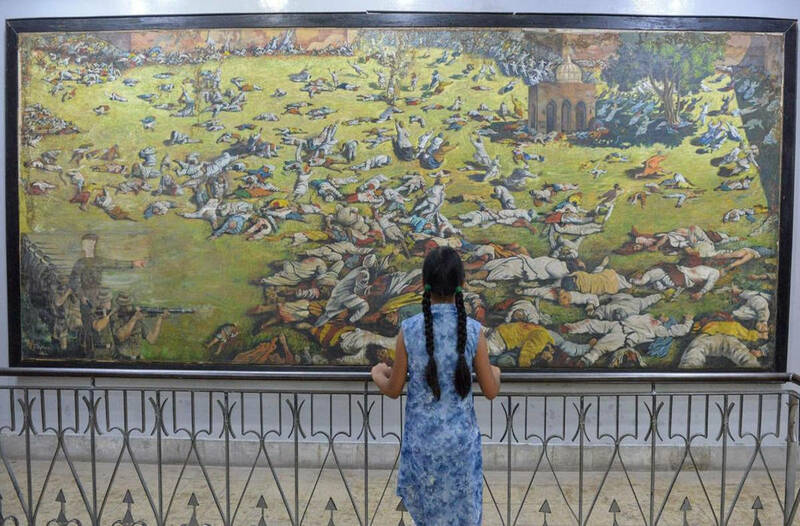 On 100 years of Jallianwala Bagh massacre, tributes and political reactions have been pouring in from around the world. Many are demanding official apology from Britain for the gruesome mass murder that took place a century ago. Finance Minister Arun Jaitley also paid tributes to the martyrs, who lost their lives in Jallianwala Bagh massacre. India today observes the centenary of ghastly Jallianwala Bagh massacre at Amritsar. My heartfelt tributes and homage to everyone who sacrificed their lives at Jallianwala Bagh. Their sacrifice will never be forgotten. The nation will remain indebted to Jallianwala Bagh martyrs.